You are currently browsing articles tagged lagrein. Lagrein is a grape that I wasn’t even sure was a grape. It was only through a process of elimination that I determined Lagrein was the grape in this bottle. 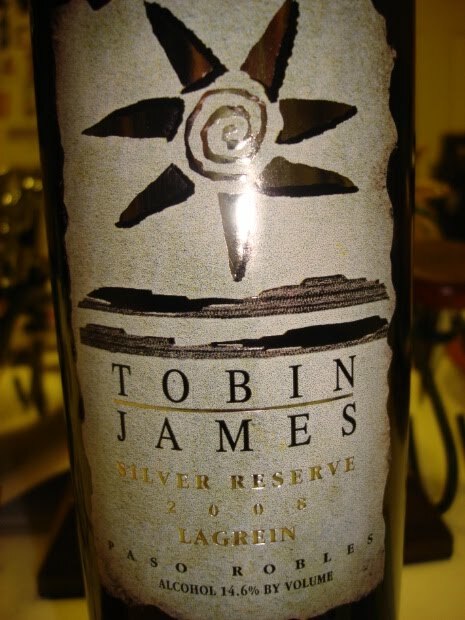 First, Tobin James – biggest font on the bottle, meaning winemaker (probably). Next, Paso Robles – heard of it and know it’s in California so not the grape. Year, alcohol content and “silver reserve” – nothing sounding like a grape. Lagrein it is. 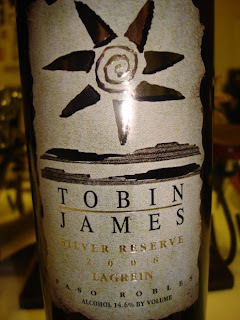 Anyway, Tobin James doesn’t list this grape on their website so they might not even make it anymore. Having never heard of it before or seen it anywhere in a wine store, it seems pretty rare here in the US. In really northern Italy, knocked up next to Austria in Trentino-Alto Adige, this Lagrein is at home. Outside of its home, wikipedia calls it “rare to the point of obscurity.” Needless to say, it’s pretty cool that a friend brought it to the mac&cheese&wine party the other night. The wine tasted a lot like a dusty shiraz, kinda more stringent and earthy without all that fruit. It looked about the same color as a Shiraz and had the same body (and high alcohol-content) but lacked all the fruit that Aussies love to export and Americans love to import. Blackberry shouted down all the other flavors in the wine but really the wine was about the structure. Not sure if they blend this in with others (yup, see below), but it’s got the body for blending and a pretty unique dirty smokey quality going for it. Less like a fine cigar, more like a country road, it’s a pretty unique wine. Not amazing but not lackluster either, certainly happy to have tried it.